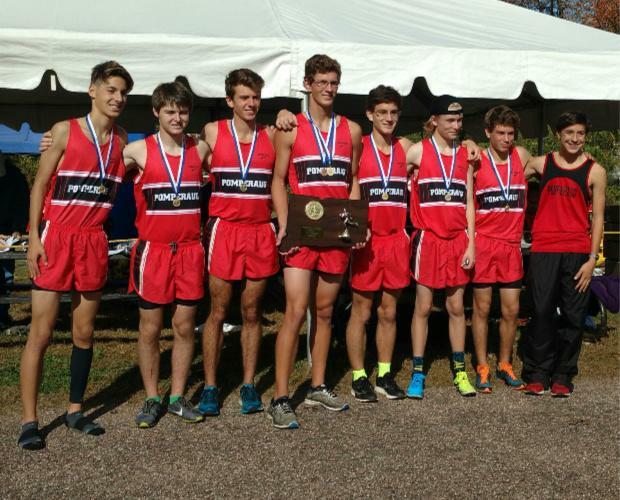 The week 2 soundRUNNER Connecticut High School Coaches XC Poll has been released. Here is a recap of what the top 10 teams have done so far this season. 1. Xavier: They haven't done much yet except for a couple of dual meet they easily won, but they at least showed they have a lot of depth with nine runners under 17:50 at Town Center Park in Hamden. They have their first real test Saturday at the Bowdoin Park XC Classic, site of NXN Regional. 2. Hall- Like Xavier, the haven't really shown their cards. Miller Anderson broke 16 at the West Hartford Reservoir 5k course and they went 1-6 on 8th ranked Glastonbury in their dual meet. 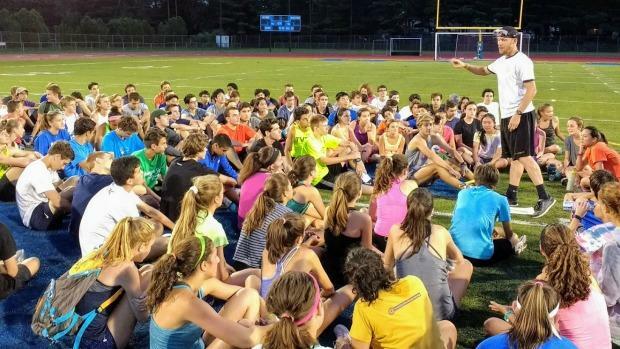 They take a trip up north to the Manchester (NH) Invitational to be tested by schools all over the northeast on the same course New Englands will be run this year. 3. Staples defeated 8th ranked Glastonbury 33-40 at the Stratton Brook Invitational on Friday and Warde on Tuesday by a score of 27-36. They will also be at the Bowdoin Invite this Saturday with top ranked Xavier. 4. Tolland finished 2nd behind Tolland at the Windham Invitational two weeks ago but they ran as a pack with only 6 seconds between their 1-4 man and Class M champion Killian Mcnamee having an uncharacteristically bad race 44 seconds behind their pack. 5. Danbury has their normal tight pack again with only 22 seconds separating their number 1-5 finisher at the PTX 10 in Kutztown, PA. They finished 5th in the highly competitive field that included US #1 team Loudoun Valley, VA. Danbury's varsity will join Hall at the Manchester Invite while the rest of the team will also cross the border to the Amherst Invitational in Massachusetts this weekend. 6. Suffield had a 24 second 1-5 gap at the Windham Invitational and defeated Tolland and Glastonbury in the process. They are heading to the Winding Trails Invitational this Saturday in Farmington. Look for CT Milesplit coverage of the event. 7. Shelton had an impressive showing at the Wilton Invitational on Saturday defeating 10th ranked Pomperaug 79-113. Led by Robert Dillon's individual win, they Gaels have a solid top three but will need to move their 4th and 5th up if they hope to contend for one of spots to go to New Englands. 8. Glastonbury has already been mentioned a few times in this recap because they have already competed against some of the top teams in the state. Junior Jacob Smith won the Stratton Brook Invite and defeated several Staples runners in the process. But like Shelton, they will need to develop more depth to move up in the rankings. 9. Conard is young and dangerous. They are led by a sophomore and two freshmen with solid middle school credentials. Gavin Sherry is a two-time CT Middle School champion and his brother Callum was 3rd last year. Throw in Tyler Remigino who was 3rd two years ago and had a great freshman year, you have the makings of an All Star team. They also have some runners who aren't too far behind them. But watch them in the next couple of years and you might see Conard on the stage at East Catholic High School. 10. Pomperaug finished 2nd to Shelton at the Wilton Invitational. They have a solid team and will be looking to claim the SWC title after finishing 2nd the past four years. The Panthers will also be heading up to compete in the Manchester Invitational his weekend.